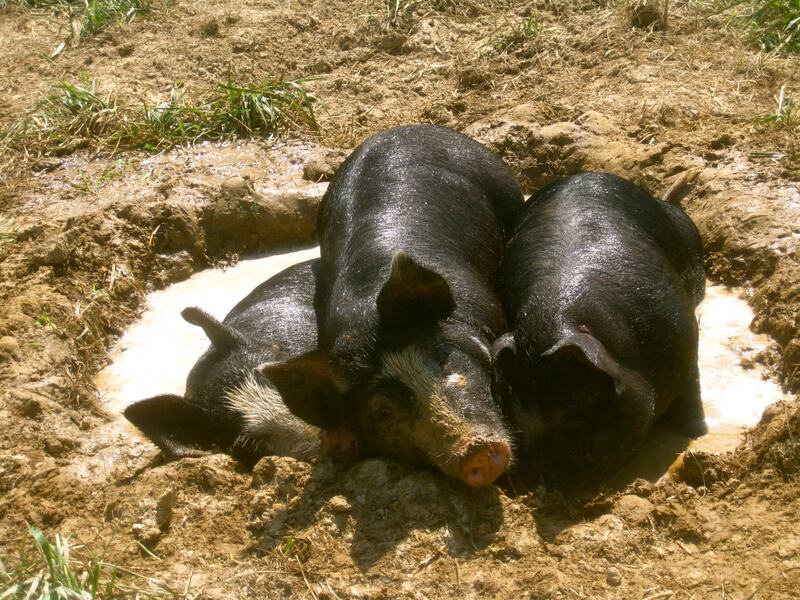 The Salad Garden’s hogs remind us why we care! Independent meat producers and farmers everywhere need your help right now to defeat some terrible language that was included in the Senate’s Continuing Resolution. As Wes reported earlier today, the Senate’s bill to fund government programs through the rest of 2013 (known as a Continuing Resolution) includes two provisions that support large meat industries and biotech giants, while disregarding the voices of family farmers, independent growers, and sustainable agriculture. Luckily, we can do something to stop this. Senator Jon Tester of Montana is introducing two amendments – one for each of the awful provisions – that removes them from the Continuing Resolution, and he needs all of us to help him move the Senate in support. Ask your Senator to support the Tester amendments to overturn these bad riders today!